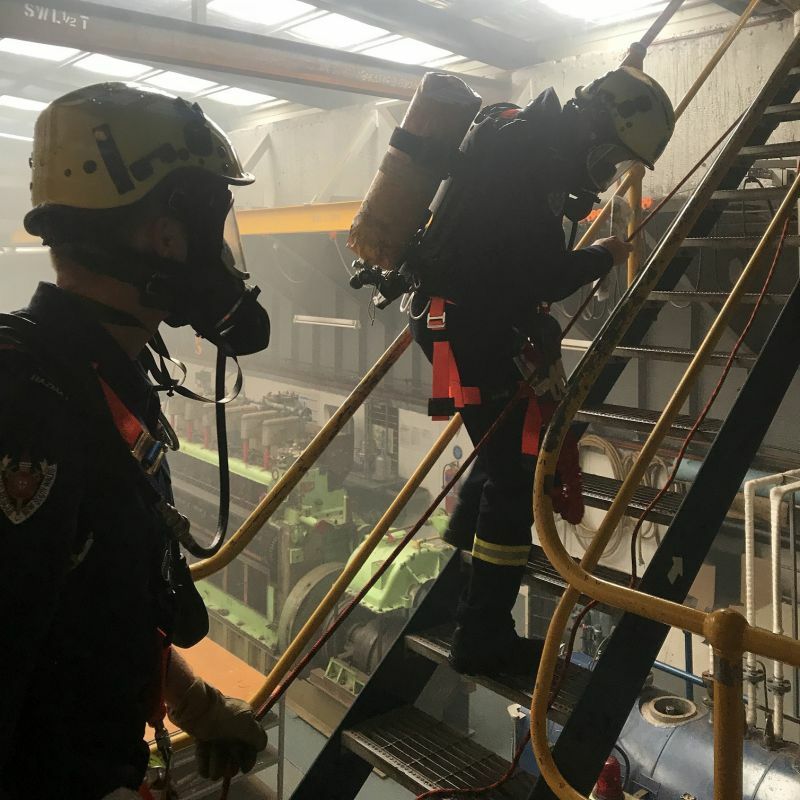 For the third year running, firefighters from a specialist unit in New South Wales have completed a five-day bespoke training course that equips them to assess hazardous substances at sea. 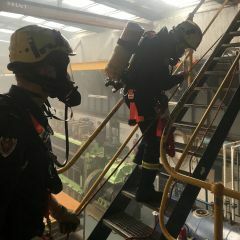 Twelve firefighters from a hazardous materials unit in Sydney spent five days gaining the skills they need to carry out reconnaissance on vessels at sea and identify unknown substances. The course was designed by AMC Search to meet the requirements of the Australian Maritime Safety Authority (AMSA), who enforce Australia’s commitment to an international protocol to respond to hazardous and noxious substances on vessels. AMSA Senior Response Coordinator David Imhoff explained that the firefighters carry out reconnaissance while the vessel is still at sea to help decision-makers on shore decide what course of action to take. The crew are deployed to the vessel by air or by water with the aim of identifying the suspicious substance. Our aim is to help ensure the safety of the vessel and of the population where the vessel is headed by avoiding incidents such as port fires,” he said. AMSA works with Fire and Rescue New South Wales to deliver this capability, and the team can be deployed anywhere in Commonwealth waters. The firefighters spend a day in the classroom learning about the shipping industry, before getting a tour of a freight vessel from its Master and practicing sea survival techniques in AMC’s Survival Centre, which includes a large indoor pool next to a mock ship superstructure. Next, they carry out vessel boarding practice and pilot ladder training at AMC’s training vessels, as well as carrying out man overboard lifeboat drills and chemical incident exercises. Their final day is spent in AMC’s Maritime Simulation Centre, where they carry out simulated exercises in the full mission bridge and the tug simulators to approach vessels and communicate with the bridge crew. Mr Imhoff said that AMC was unique in its ability to provide all the aspects involved in this diverse training. AMC has the ships, lecturers, sea survival centre, simulation centre, provides meals, accommodation, airport pick-ups and more. I don’t believe there’s any other provider in the country that can do it all like that,” he said. AMC Search Training Manager Emilie Donovan was delighted that the Hazardous and Noxious Substance training is so well received — both by AMSA and by the participants. “AMC Search prides itself on being able to configure and deliver customised training that meets our clients’ specific needs,” she said. (Photo): Firefighters undertake training aboard the AMC vessel Stephen Brown (AMSA).